Kowloon Junior School's latest newsletter is available to read now. My reflections on the first week have been affirmed after our regular staff meetings: 32 staff opting into optional “Tech Tuesday” professional learning in the first week, our teacher professional learning on Monday this week and then the PTA meeting last night. All indicators point to staff and community passionate about ensuring “Success for Every Child” at KJS! Such passion, enthusiasm and energy will make such a difference to our children. At the PTA last night, I informed the committee of the steps we are taking to ensure the wellbeing of your children. These include close monitoring of air pollution indicators together with an ongoing assessment of the flu virus, at KJS and across ESF, to ensure our children are safe. We are receiving regular updates from ESF and the EDB regarding the flu virus. Both have advised that given the exceptional circumstances face masks are permissible for children who have a cough but no fever. That is, they are well enough to be at school but a mask will reduce the risk of germ spreading. This does not mean children should wear a mask to prevent them from catching germs. Please assist us with this process by only sending your child with a mask if they meet the above criteria. Together, we can make it safely through the flu season in Hong Kong. 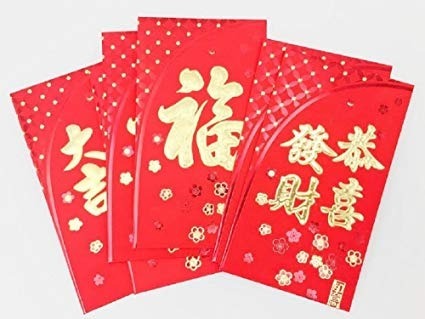 On Friday before Chinese New Year (1 Feb), we will be sending home a Mid Year Report for all children to provide you with an update regarding your child's progress. This brief report is part of the comprehensive reporting process at KJS. At the PTA meeting, concern was expressed that the annual InCAS and ISA achievement data was not easily accessible for families. These assessments are organised by ESF and provide indications of student achievement utilising standardised tests. We will make sure the InCAS data is provided this week and ISA data within the next week. Thank you for the parents who highlighted this problem. We will also provide explanations on how to read the data and, if needed, we will facilitate parent information sessions. My four days in Bangkok at the Search Associates recruitment fair affirmed the importance of accessing the highest quality candidates when recruiting for KJS and ESF. I was assured the staff we have are very high quality and also delighted to see the significant interest in Hong Kong and especially ESF as a career destination for international educators. This week will conclude with the Agents of Change Year 6 Conference hosted at KJS. 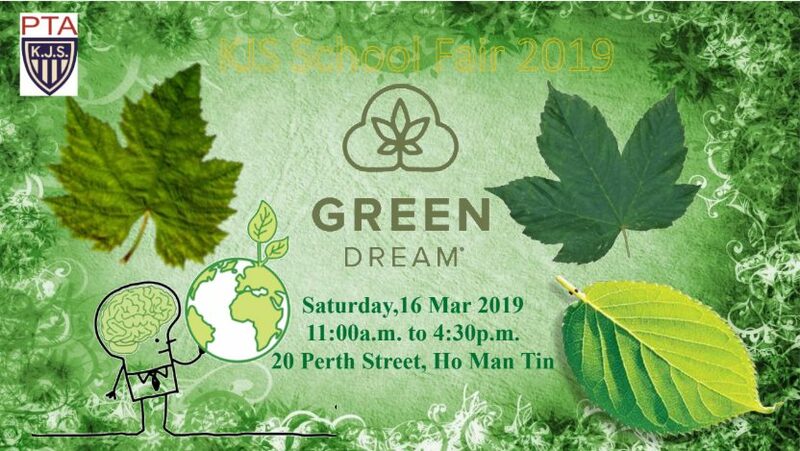 This is a wonderful opportunity for ESF Year 6 students (over 900 will join us on Friday) to connect face to face with Hong Kong NGO's responding to the needs of the world in 2019. It will be an exciting day as our students start to contemplate their response to the UN Global Goals and their PYP Exhibition. We have certainly started 2019 in an exciting way as we shoot the AAROW's of Success at KJS! Please click here for a flyer from SNN:HK (Special Needs Network: Hong Kong) which is an organisation that supports parents of children with special needs. They are holding an event tomorrow to help parents understand the entitlements and services available in the public system for children with special needs, disabilities and complex medical needs. If you have a child with special needs you may find this event very helpful. school and the more parents we have at meetings, the better it is for all of us. have your class represented at meetings. 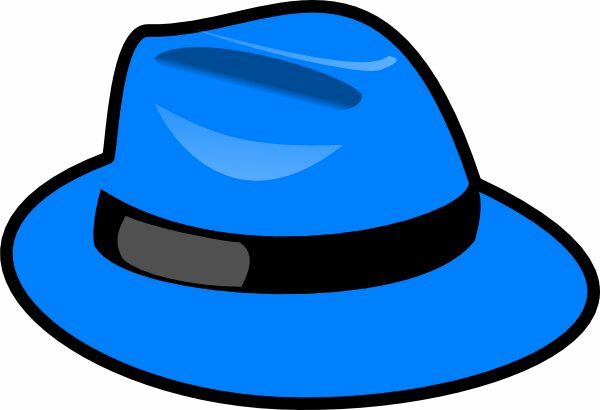 Our next meeting will be on Tuesday, 19 February 2019 at 5pm in the School Library. shop. Tickets are $70 each. 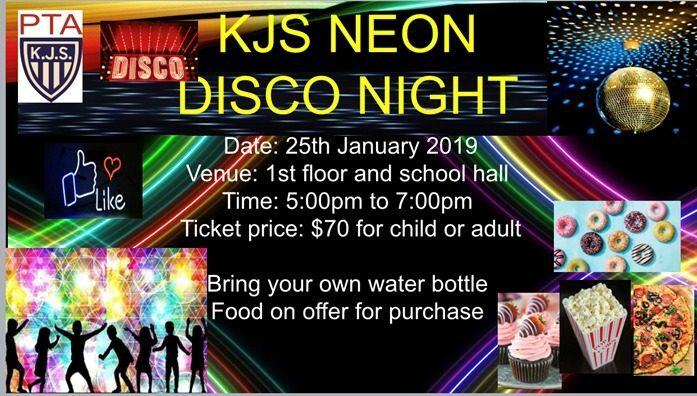 Children and adults will participate in a variety of dancing games in the school hall – please make sure you bring your dancing shoes! We look forward to seeing you at the event. In case you missed it, here is the order form for tickets. you. Please get involved. It's on Saturday, 16 March 2019. Prior to the fair, we will need some help sorting donated items and for raffle counting. Please volunteer if you can spare 60 minutes on the day. a great way to get to know our school community and they are just as fun when you are helping too. Alternatively, you can just pop into the PTA shop and purchase one. children with their house colours. from the sun and will stay on while the they are playing outdoors. Thank you. Please approach the PTA office if you can help. The celebration of student success will channel to our Facebook page. You can find the school's Facebook here. Please keep the photos and stories coming of our children shooting the AAROW's of Success! Kowloon Junior School, English Schools Foundation and its affiliates shall take no responsibility for any activities, events, and services, that are organised by other organisations or individuals and are mentioned in our newsletters. If you do not wish to receive our newsletters by email, you may contact the school office at office@kjs.edu.hk to opt out. 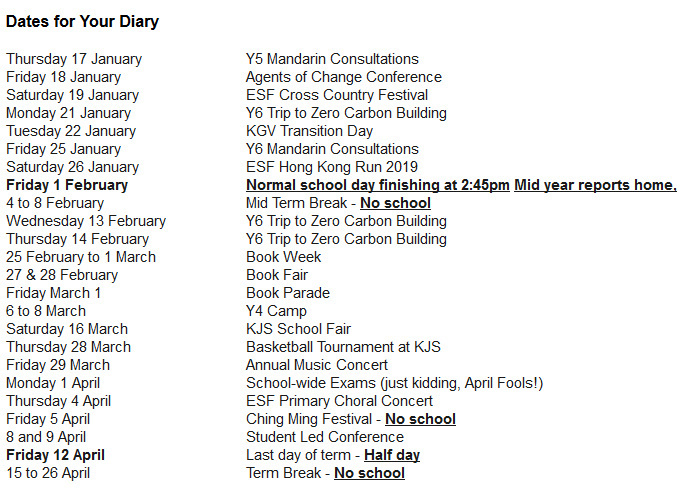 Our newsletters will still be accessible on our website https://www.kjs.edu.hk/kjs-news/. 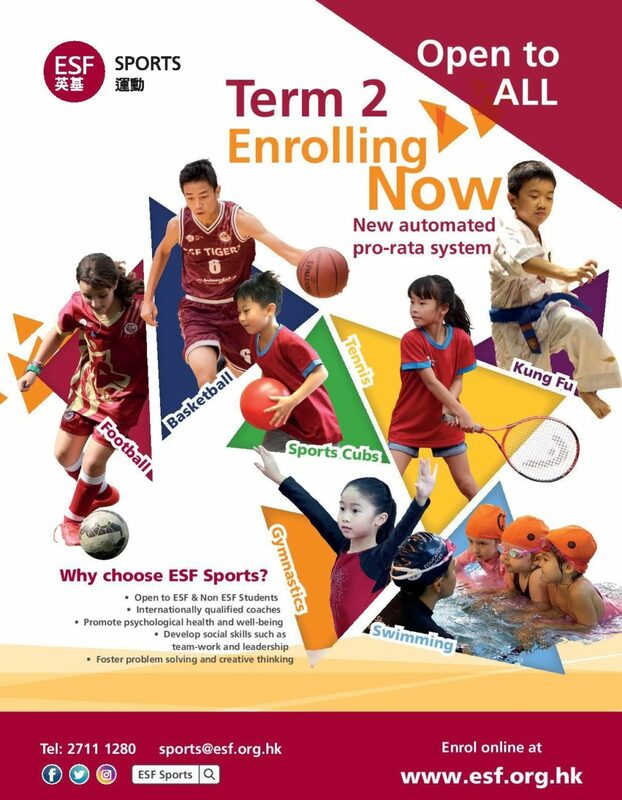 In accordance with our Personal Data Handling Policy, Kowloon Junior School and English Schools Foundation may place your child's photos, name, school work, activities and accomplishments in our newsletters or other publications (including but not limited to our websites and social media sites). If you would like to opt out, please email the school office at office@kjs.edu.hk.